Snail Bob is one tough critter. He has foiled an armada of enemies, solved a plethora of puzzles and survived the challenges posed in eight different online games. Snail Bob 8, the current version in the series, finds our hero stranded on a lush jungle island. Your job is to keep Snail Bob alive and on the run (or crawl, in Bob’s case) as he moves across the island looking for a way to escape. At first, the island appears to be rainforest paradise, but Bob soon encounters local creatures who see Bob as a tasty lunch, plus a series of traps and obstacles. Bob can retreat into his shell to survive an attack, but eventually he will have to use his brain (or your brain) to find his way out. Like the earlier versions of Snail Bob games, this one is played a desktop computer with a mouse to control Bob’s movements. That makes it easier for children or older adults who might have trouble mastering the complicated controllers for platform games. Also, the Snail Bob games are free. Players encounter an occasional ad, but not s often that it interferes with the fun of playing. 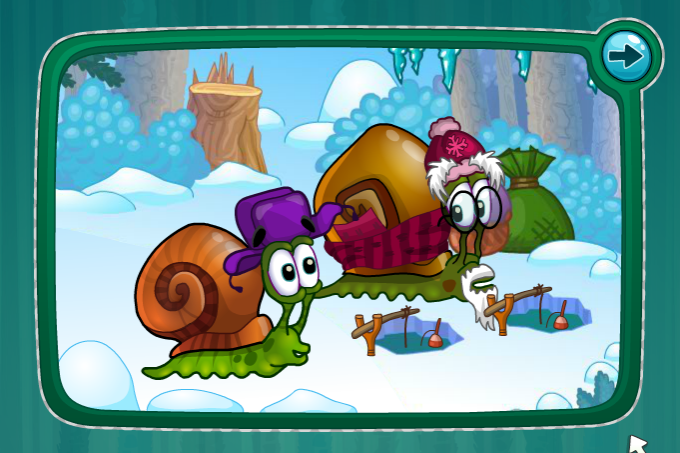 Check out the Snail Bob 8 website to try the island adventure and to play any of the earlier Snail Bob games.